Anaximenes was a Pre-Socratic Greek Philosopher, who ranked among the pioneers of the Milesian School, whose innovative philosophies have made major contributions to the Milesians’ philosophical inquest into the “arche” or first principle of the universe, which according to Anaximenes, was the air. 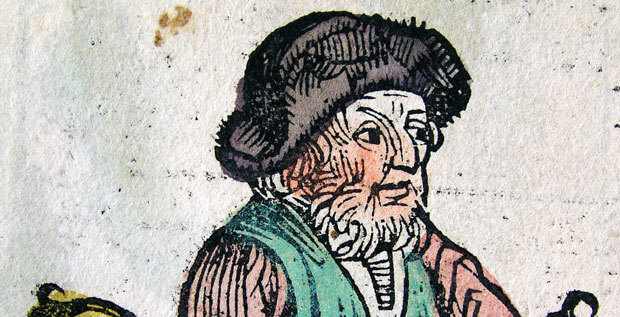 Anaximenes was the first Greek philosopher to form a clear distinction between planets and stars, and to provide scientific explanations to account for natural events such as thunder, lightning, rainbows, earthquakes etc. Anaximenes was born in 585 BC to Eurystratos in Greek city of Miletus, located in Ionia. Anaximenes was a pupil and companion of Anaximander, however, some say that he was also a pupil of Parmenides of Elea. He spent a brief period of his life under Persian rule, therefore, he was a witness to the horrors of the Ionian rebellion against Greek occupation. Anaximenes’ devoted his philosophical energies to the intellectual pursuit of identifying the single source of the basis of the universe. Anaximenes was confident that indeed there was a single element that controlled the course of the universe, and he deemed that element to be air. He proposed that everything is air at different levels of density, air’s characteristic of infinity and perpetual motion lends it the ability to produce all things without being produced by anything. Anaximenes described the earth as a broad disk, floating on the circumambient air. He believed that the formation of the sun and stars was also due to the processes of condensation and rarefaction, and these bodies developed their flaming characteristics due to the velocity of their motions. He used a similar explanation for the natural phenomena such as thunder and lightning, which he described as a result of wind breaking out of clouds, he described rainbows as the result of the rays of the sun falling on clouds, earthquakes result due to the cracking of the earth when it dries out after being moistened by rain, hail is caused by frozen rainwater etc.